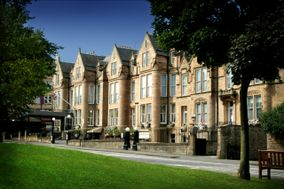 Wedding Venues City of Edinburgh ARE YOU A SUPPLIER? 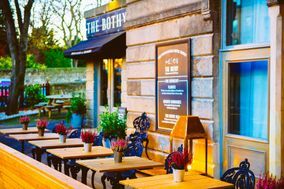 Guide to wedding venues in City of Edinburgh: in our listings you will find the best venues to celebrate weddings and other events like anniversaries, birthdays, christenings and other unforgettable special occasions. 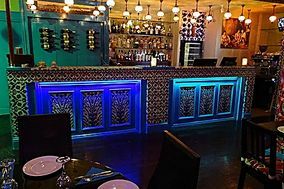 You can take a look at prices and wedding packages in addition to the best offers in wedding receptions in City of Edinburgh. Edinburgh is in so many ways a perfect blend of the historic and the modern. It's a diverse and vibrant city, home to the iconic Edinburgh castle and drawing thousands annually as the world's leading festival city. It's also beautiful, inspiring filmmakers from all over the globe to bring Hollywood here. 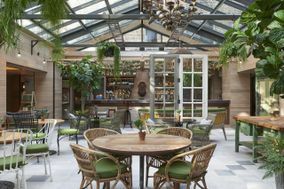 Whether you are awed by history, addicted to art, or looking for your daily dose of fresh air, Edinburgh has something for you–and as you might imagine, your wedding guests will find plenty to explore leading up to your Big Day. 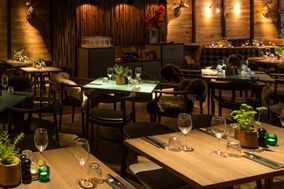 In the here and now, you can rejoice that there are so many wonderful wedding venues in the City of Edinburgh, and that the hospitality and generosity of the people here extends to the vendors. You and your guests will be well taken care of! 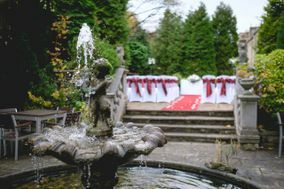 Of course, if you're looking for something smaller and more intimate, you can always widen your search to include wedding venues in East Lothian. Colorful Edinburgh is undoubtedly a pretty place for a wedding. 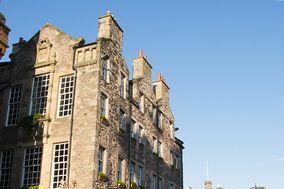 When browsing wedding venues in the City of Edinburgh, you'll find sites for every style and size of wedding, from the typical Edinburgh New Town houses to luxurious hotels to the mansion house at the Edinburgh Zoo. For a greener affair, you can get married in the many sculpture gardens and secret herb gardens ,or in the little chapel at Edinburgh Castle. Indoors or outdoors, you'll be spoilt for choice! But how to choose? One way to narrow your options down to a manageable few is to use a wedding budget planner. 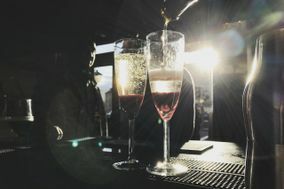 Knowing how much you can comfortably spend on an Edinburgh wedding venue will help you avoid going overboard so you won't have to make sacrifices in other parts of your wedding. Browsing wedding venues online is only the first step in this journey. After you've made a list of the venues that make your heart beat faster, it's time to schedule some walkthroughs. Call or email these favourites as soon as possible to ask whether they're available on your preferred wedding date and whether they can accommodate your anticipated wedding guest list. 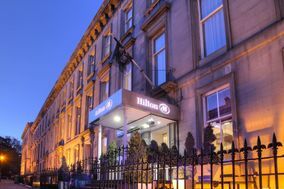 Remember that most wedding venues in the City of Edinburgh book up quickly, so start visiting facilities now. 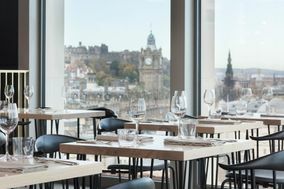 There are some good reasons to make touring City of Edinburgh wedding venues a priority. Firstz, venues that look amazing in photos can look very different in person, which means you can't confidently choose a venue without seeing it first-hand. And second, each walkthrough gives you the opportunity to ask the venue manager or coordinator questions about how they'll handle your wedding day. Prepare a list of questions ahead of time so you don't forget to ask about any key details. For instance, always ask what the wedding packages include, about pricing and deposits, and what the venue's cancellation policy is. Then ask about vendors. Do they have in-house vendors or will you need to find your own caterer, decorator, baker, and so on? These tours should be fun, not frustrating, and if you get the sense that your guide doesn't want to answer your questions, move on to the next venue. 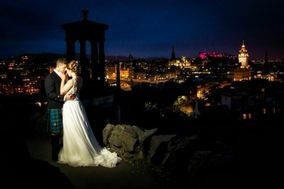 The more information you have, the easier it will be to choose the right City of Edinburgh wedding venue for you. Your wedding to-do list may seem endless now, but with WeddingWire tools like our table planner and our wedding dress catalogue you can plan your ceremony and reception in a snap!